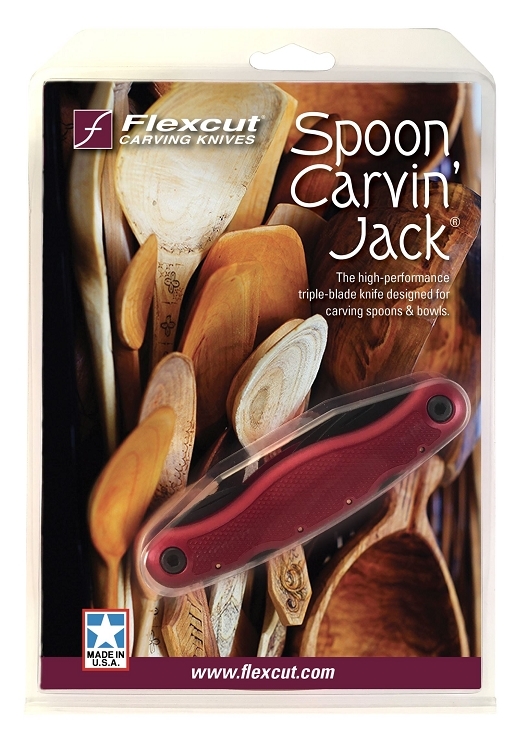 Flexcut’s Spoon Carvin’ Jack makes it easy and convenient to handcraft spoons from every kind of wood stock. It has both a shallow and deep hook knife, designed to form the hollows of spoons and bowls. It also features a straight blade for shaping and carving the fine details into the design. Like all of the knives in our Carvin’ Jack series, our Spoon Carvin’ Jack fits neatly in your pocket, so you can carve wherever you go. 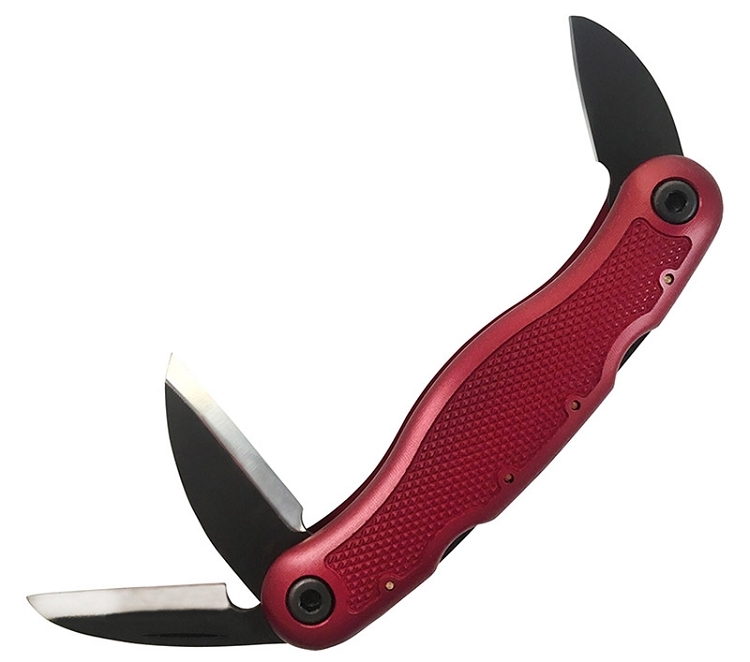 The handle is made of rugged aerospace aluminum with an ergonomic design that contours to fit the palm of your hand. There is also a deep crosshatching on the handle to keep the knife from slipping while carving.